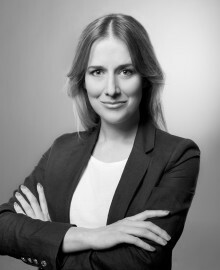 Katarzyna is a co-founder of consulting and training company named Akcelerator and she is accredited as Flow and Performance Consultant of Talent and Wealth Dynamics. For several years Katarzyna supports companies in defining and implementing business path in line with their natural talents. Diagnoses and develop potential employees on the basis of the best roles that can perform as a team. Builds and implements strategies for the development of enterprises that generate increased efficiency, improved communication, trust and flow.